PS. 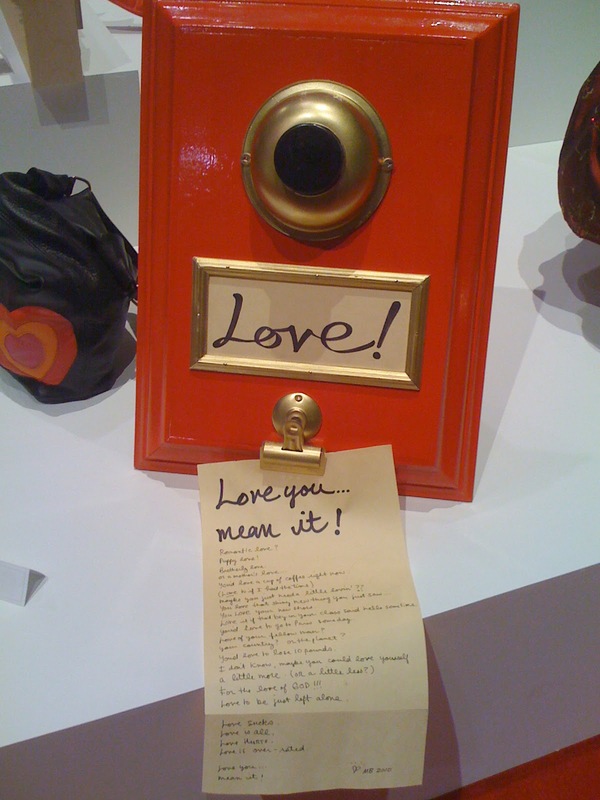 This little 'love' installation appeared at the One of a Kind Show in Toronto, Canada. The radio station I listen to had a challenge in Jan., pick a word to define you or live up to in 2011. My Christmas cards, that I made, said Tis the Season of Love, Pass it on! I think love is my word. I've hit a point in my life were the kids don't need quite so much of my time and I can breath. In this space I can appreciate others and "see" truely see value in things/people that I was missing before. I will admit there was a lot of self pitty about not getting "me" time, always doing for others. Being a mom is a hard job sometimes. I'm liking getting older, well mentally.